The aim is the integration of hardware and software for photogrammetric mapping into existing and within ROBEX new developing vehicles (AUV fleet, ROV fleet, crawler fleet). 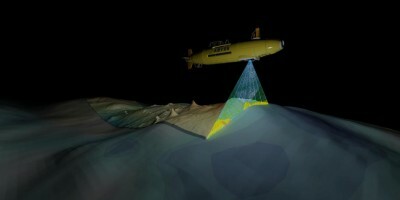 In contrast to visual SLAM methods for navigation in real-time mapping to scientific purposes is in the foreground. Depending on the existing infrastructure different approaches for hardware are first tracked in preparation for a largely uniform solution for camera and imaging in the second step. The use of multiple parallel measurement method will be pursued, including Structured Light Scanning, Structure from Motion and stereoscopic photogrammetry. At first several existing proceedings are compared. How far it comes to a workable solution for all applications in data processing, is dependent on the hardware used and the scientific challenges.